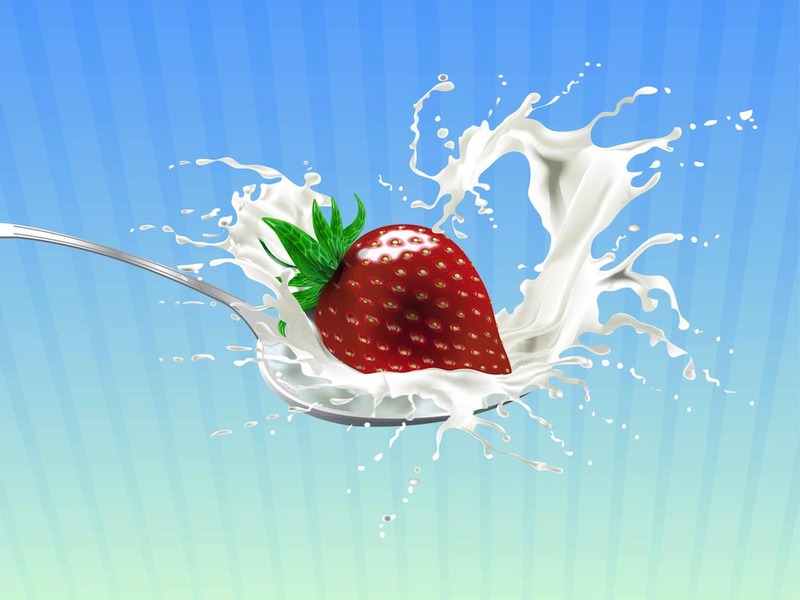 Realistic food illustration of a fresh strawberry and milk in a spoon. Vector graphics of the shiny fruit surrounded by splashing milk drops in a shiny metallic spoon. Free vector illustration for all fruit milk product label decorations, instructional images in cookbooks, posters and cookbook covers projects. Tags: Food, Fresh, Healthy, Liquid, Milk, Milkshake, Spoon, Yoghurt.